Whitney Crews, BSEd ’96, is always learning something new. And that’s exactly what she expects from her students at E. J. Moss Intermediate in Lindale ISD. 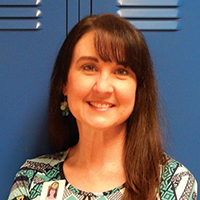 Crews’ ability to provide her students with a sense of hope and a love for learning was cited as a main reason for her selection as Teacher of the Year by the Texas Association of School Administrators (TASA). Crews was first chosen by her campus, district and region before competing for a state title. Her principal sprung another surprise — she would be teaching social studies too. “Again, I thought, ‘Oh no, I don’t like history!’ But it turns out I do,” she said. When she had to choose between social studies and English, she stuck with social studies. 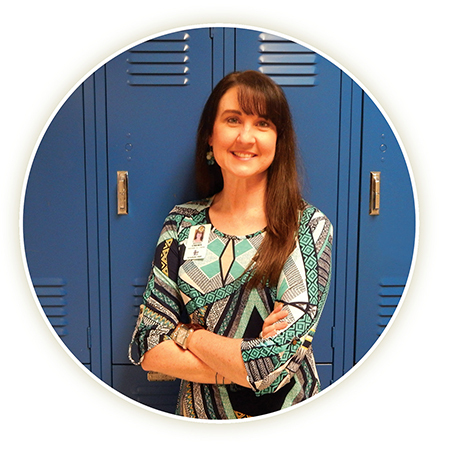 Then when the school moved to block scheduling, she started teaching science — happy as usual to learn something new. “I tell my students that story all the time, because they think they don’t like a particular subject,” she said. Crews is excited about her year as Teacher of the Year, speaking to future teachers at various colleges, conducting workshops for educators and, of course, learning.